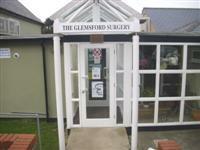 We welcome you to the website of Glemsford Surgery, in rural Suffolk, we pride ourselves on offering excellent care to the patients we serve. We have around 5000 patients at present, serving a wide and mainly rural area. Please only use the "Contact Us" form on the website for comments about the practice and suggestions as to how we can improve our service to you. Medical matters and official complaints CANNOT be dealt with via this form. If you have a query regarding a medical matter please TELEPHONE RECEPTION where you can be directed to the appropriate person. Disabled access is available at the entrance to both main and branch surgeries.